Free parking is available in the two lots at Fiesta Gardens as well as on the streets surrounding the park. Handicap Parking is available in the lot by the front entrance. Event organizers encourage the use of public transportation to get to and from the event. Visit https://www.capmetro.org/planner/ for public transportation options. 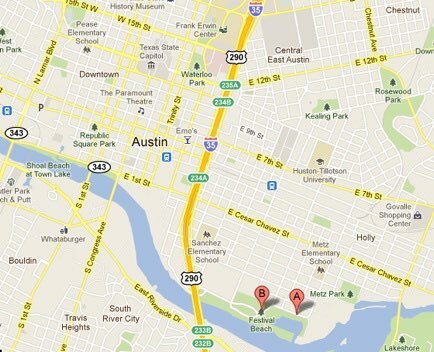 Austin Yellow Cab can be reached at 512.452.9999. This is a non smoking event. No Glass Bottles are allowed on the event grounds.